Fuller Firesound ™ is formulated primarily to perform as a barrier to the incursion of fire through expansion joints and wall penetrations such as pipes or cables. When cured it will form a tough flexible fire rated seal for exterior and interior construction joints that are subject to movement of up to +/-20% in pre-cast concrete panels, block work and brickwork. 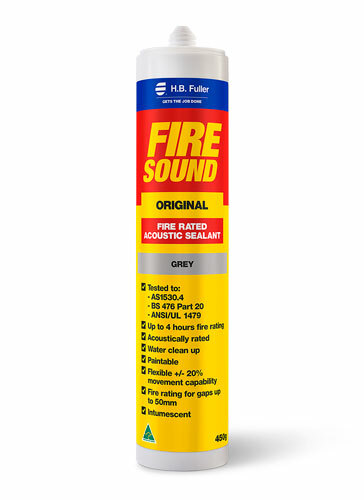 Fuller Firesound ™ is also an effective acoustic sealant. Fire rating for gaps up to 50mm. Gaps around cables, metal pipes, conduits and ducts that penetrate walls, floors and ceilings.